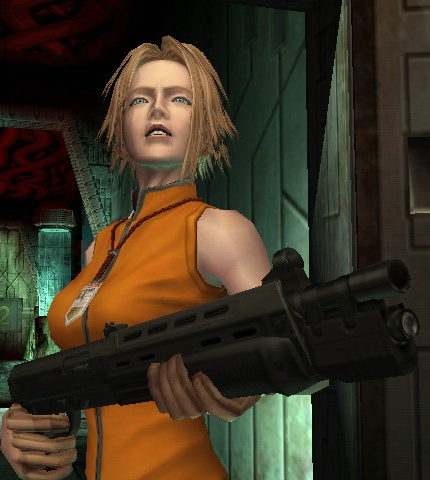 As far as light-gun shooters are concerned, The House of the Dead and its sequel are stone cold classics. The third game in the series isn’t anywhere near as fondly remembered, however. 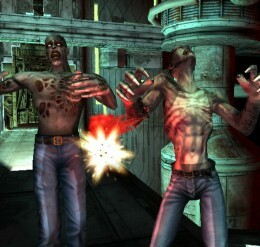 We’d even go as far as saying that the console-exclusive House of the Dead: Overkill is more renowned. After playing through the Wii version recently, I’ve found myself questioning why HotD3 isn’t as highly regarded as its predecessors. It could all be down to timing. Around 1999/2000, SEGA managed to spark a small arcade renaissance with the likes of Virtua Tennis and Crazy Taxi able to woo gamers back into arcades, bowling alleys and such. HotD3 arrived in 2002, long after the Japanese giant had ditched the Dreamcast. SEGA’s short but sweet resurgence was over, which may explain whereas HotD3 – with its pump-action shotguns – is seldom seen in UK arcades. For the home conversion, SEGA decided upon making the gloriously grizzly shooter an Xbox-exclusive. This could also have impacted the game’s popularity as the Xbox had very few light-gun games when compared to the PlayStation 2. In fact, there was just three – HoTD 3, Silent Scope and Starsky & Hutch. 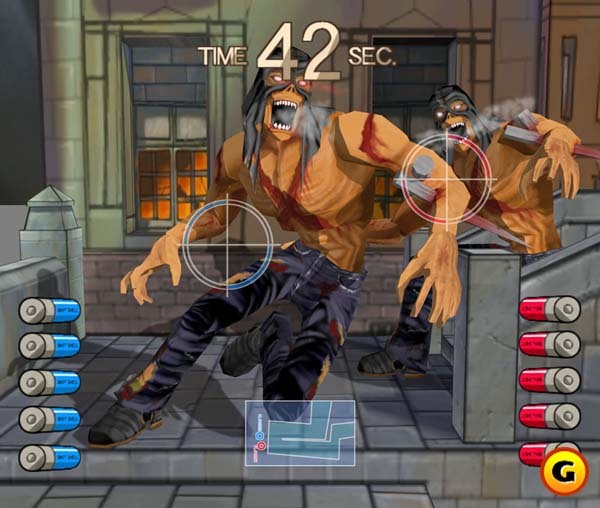 While shooters were certainly popular on Xbox, those of the on-rails variety were not – games with an arcade-like nature tended not to fare well on Xbox full stop. MadCatz were responsible for releasing the system’s light-gun; a bright green blaster that’s hard to come across nowadays due to its rarity. With only three compatible games released, it’s easy to see why. Even the Dreamcast boasted more, with a grand total of six. Or seven, if you count the hidden ‘Big Car Hunter’ mini-game in Demolition Racer – No Exit. Of course, it could simply be that HotD3 isn’t quite as good as its predecessors. At around 20 minutes long it’s a fleeting experience with few memorable moments and even fewer scares. The setting – a filth encrusted science lab – isn’t quite as chilling as the mansion from the first game, or as atmospheric as the sequel’s eerily quiet rendition of Venice. The production values are slightly better though, with slicker visuals and voice acting that’s a tad better than before. An emphasis on the word tad, there. The ability to choose which areas of the lab to head to next is a welcome addition too. Bosses are perhaps the biggest disappointment. Not only are they few in number – with a colossal undead security guard making two appearances – but they’re also lazily designed. They do at least put up a good fight as battles are far longer this time around. They also pan out a little differently than before due to new energy bar that cancels incoming attacks; one of the more notable new features. It wasn’t until SEGA bundled HotD2 and 3 together for a budget Wii re-release in 2008 that many experienced the third instalment for the first time. It’s a faithful conversion, and the kind of thing the Wii remote was ideal for, removing the need to fork out for a light-gun. We can recall still being impressed with the graphics upon release. Nowadays though they look rather muddy and the heavy use of corridors makes for a generally unexciting experience. The PS3 release (via PSN) came even later still, arriving in 2012 for a bargain £4.99. It’s by far the best version, but it does require a PS Move (which currently sell for extravagant sums due to the PlayStation VR). It’s a little-known fact that SEGA originally planned for HotD3 to feature Jet Set Radio-style cel-shading; an idea that was quickly abandoned after negative feedback. We wonder if HotD3 would be slightly better remembered today had SEGA stuck with this wayward visual style. It certainly ended up working in Zelda: The Wind Waker’s favour.